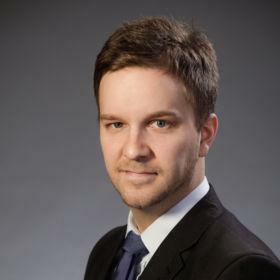 FIIA Briefing Paper är en komprimerad text som erbjuder en översikt över ett aktuellt tema. Den är riktad till en bred läsekrets. 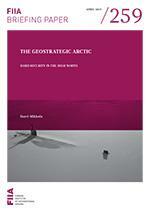 The end of the Cold War meant that the Arctic region lost most of its geostrategic relevance. However, due to growing great power competition, the Arctic is back on the geopolitical map. Hard security dynamics in the region are defined by two key elements: the importance of conventional long-range missiles and nuclear weapons for Russia, and the importance of the North Atlantic sea line of communication for European defence. Russia has revitalized its Cold War-era bastion strategy, which aims to ensure the survival of its strategic ballistic missile submarines. In a crisis scenario, this strategy could pose serious challenges to the Nordic countries as well. Five Arctic states are members of NATO and the Alliance’s collective defence is operational in the Arctic. Even if the Arctic is still not a focus area for NATO, the North Atlantic maritime domain is increasingly back on the agenda. Given the divergent strategic interests and lack of common ground between Russia and other Arctic states on grand strategic issues, the Arctic will not be losing its geostrategic importance anytime soon.